I believe Jimmer Fredette is the best basketball player to ever wear a Cougar jersey. Now full disclosure–I was too young to truly appreciate the talents of Cosic or Ainge. However, I believe an argument can be made that if The Jimmer wasn’t the GOAT at the Y, he is certainly in the top three. Let’s review just a few of the things Jimmer did in his time as a Cougar. He holds BYU records for points scored in a single game (52), field goals in a single game (22), points scored in a season (1068), field goals in a season (346), 3-point field goals in a season (124) and career (296), free throws in a game (23) and season (252), and most 30-point games (24), and 40-point games (6). He also held the BYU career scoring record when he graduated in 2011. Jimmer held MWC records for points scored in a game (52), season (1068), and career (2599), field goals in a season (346) and career (838), and 3-point field goals in a career (296). The four-year average win-loss record with Jimmer on board was 29-6, and the Cougars won three conference titles and were runners-up the other season. They finished the 2009-10 season ranked #17 after being ranked as high as #12, and the 2010-11 season ranked #10 after spending half the season in the top 10 and a couple weeks at #3. Jimmer led the Cougars to their most successful four year post-season stretch in Cougar history, making it to the first round of the big dance in 2008 and 2009, the second round in 2010, and the sweet 16 in 2011. Jimmer was a three-year all-conference first-team player, consensus All-American, Wooden Award Winner, and Conference and National Player of the Year (2011). He was also awarded the 2011 Best Male College Athlete ESPY award. And while Jimmer was amazing as a collegiate player, many fans have since faded as his NBA career never really took off. But Jimmer is doing o.k. Actually he’s killing it in China right now averaging almost 40 points a game, with nearly 10 rebounds and over 5 assists. And Jimmer mania is steadily growing in the most populous country in the world. And he did o.k. here in the U.S. of A. too. This time last year he was named the D-League All-Star MVP while averaging 22 points per game in the NBA’s developmental league. That’s after five years drawing a pretty decent paycheck in the world’s top basketball league. What he hasn’t done is Jimmer the NBA… but he’s not done yet. It could happen. It has now been six years since Jimmer mania was in full swing. And because I loved that era of BYU basketball and because this is a “rebuilding” year, I thought I’d stroll down memory lane for a moment or two. In 2011 BYU was enjoying the most basketball success in thirty years and was poised to make a tournament run into the sweet 16. 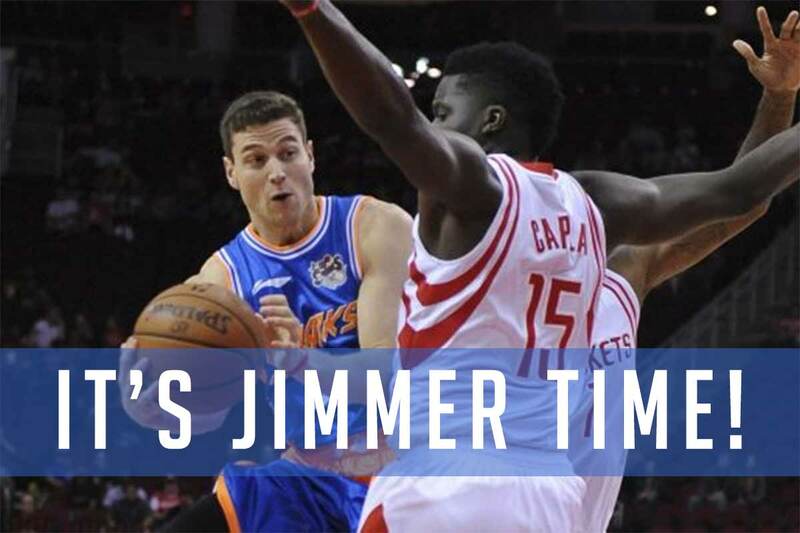 Jimmer mania was in full swing, and we were all drinking the Jimmer Kool-Aid. YouTube and CB have generously archived some of the great Jimmer moments so you can now stroll down memory lane with me.